Spaghetti squash is a mild-flavored variety of winter squash that absorbs surrounding flavors. When cooked, the flesh separates into long, crunchy strands that resemble spaghetti, hence its name. It is frequently used in dishes that call for the pasta. 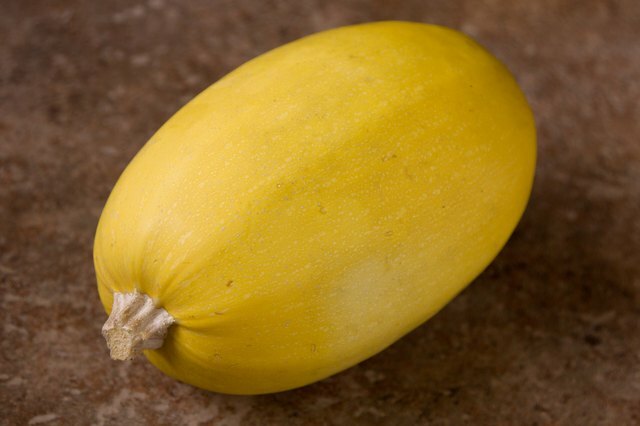 Ripe spaghetti squash should be about 9 inches in length and feel heavy, weighing between 6 and 9 pounds. While it is not necessary to refrigerate whole, uncooked spaghetti squashes, they typically last two to three months if kept in a cool, dark place. 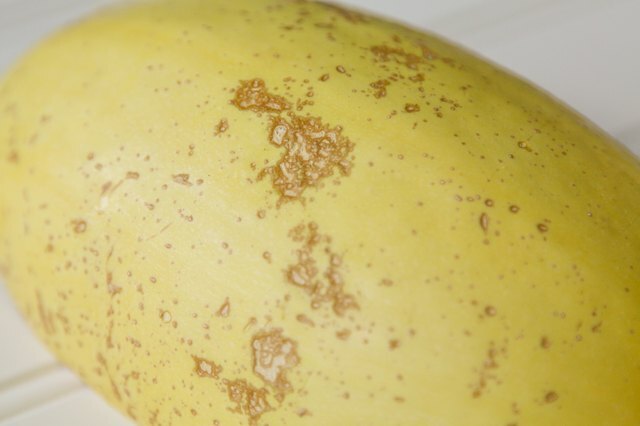 A few key indicators will help you tell if your spaghetti squash has gone bad. 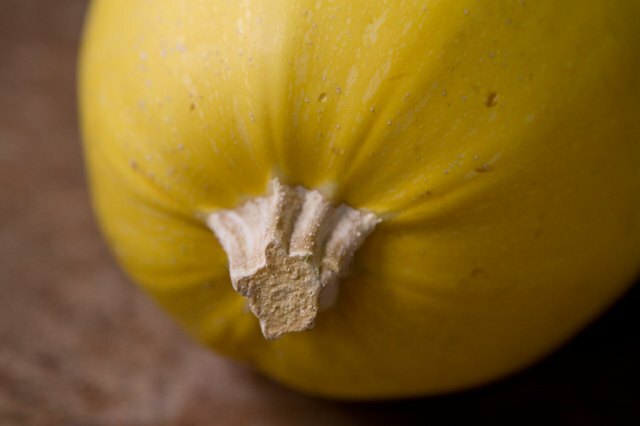 Examine the spaghetti squash’s stem or the area where the stem was attached. It should be dry and rounded. If the stem is black, moist or shriveled, the squash is beginning to rot. Look at the rind. 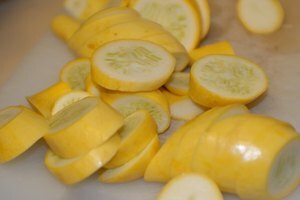 Depending on the variety, the rind of a fresh spaghetti squash should appear pale yellow, ivory or light orange and have a dull sheen. Shiny, cracked or watery-looking rinds, or brown or dark yellow spots on the rind, indicate the squash is rotting. Feel the rind. 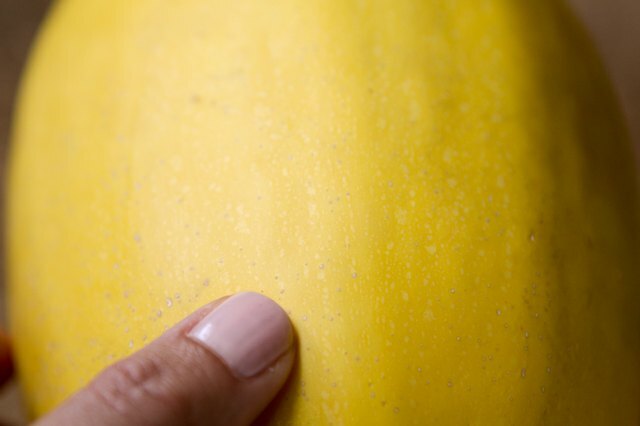 A spaghetti squash has a very hard rind that, when fresh, is very difficult to scratch with your fingernail. 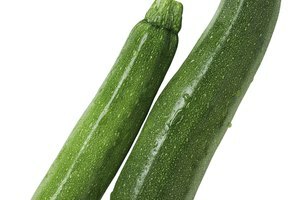 If the rind is easily scratched with a fingernail, has soft spots, gives when squeezed gently or just generally feels mushy, the squash has gone bad. Smell the squash, especially near the stem end. A fresh spaghetti squash should not have a strong odor. If the squash smells pungent, it is decaying. This may not be easily determined in an uncut spaghetti squash that is just starting to rot, but will be very noticeable when the squash is cut open. 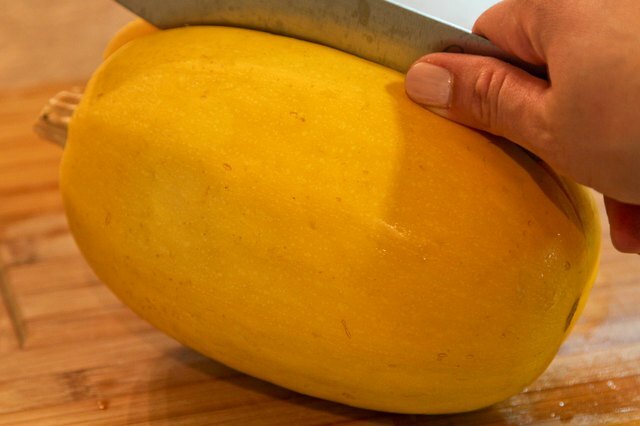 Using a large, sharp knife and cutting board, cut the spaghetti squash open lengthwise and examine the flesh. The flesh inside should be solid and brightly colored, corresponding to the spaghetti squash variety. If it has spots, is discolored or the color is very dull, it is going bad. 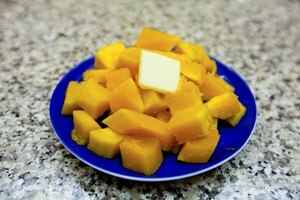 If the flesh is soft and mushy, or appears very dry and is pulling away from the walls of the rind, the squash is rotten. Cooked spaghetti squash will last approximately one week in the refrigerator and for three months in the freezer. When storing, do not stack spaghetti squash. If one squash in the stack goes bad, it can spread to the surrounding squashes. 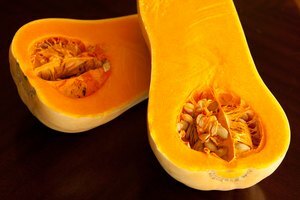 A Garden for the House: "How to Harvest & Store Winter Squash"
University of Illinois Extension: "Using and Storing Winter Squash"